VATICAN CITY (CNS) — In a world filled with challenges to marriage and family life, the Catholic Church is called “to carry out her mission in fidelity, truth and love,” Pope Francis said at the Mass opening the world Synod of Bishops on the family. Formally opening the synod Oct. 4 with a Mass in St. Peter’s Basilica, the pope said the church must encourage families and defend faithful love, the sacredness of every human life and “the unity and indissolubility” of marriage. The synod was scheduled to last until Oct. 25, discussing ways to strengthen the church’s support of families and its outreach to those struggling to live fully the Catholic ideals of marriage and family life. 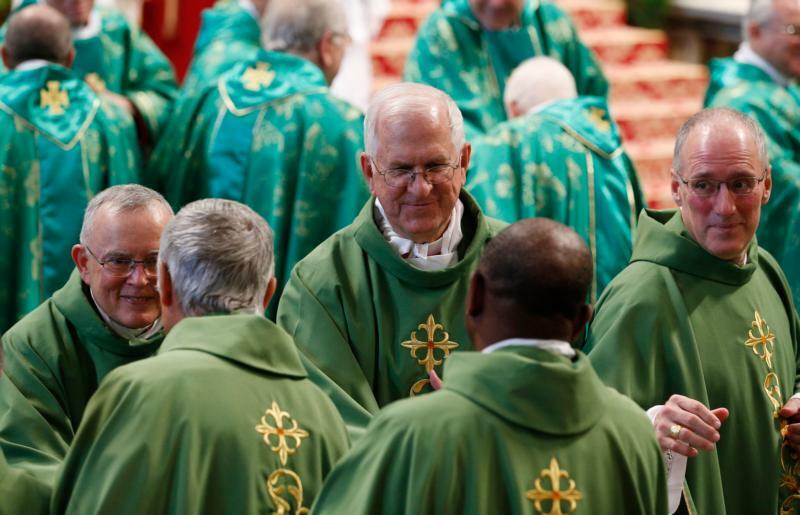 Marriage preparation, sexuality, procreation, communication, support for couples at risk of separation, accompaniment of divorced Catholics and possible ways to bring back the divorced and civilly remarried were all expected to be on the synod’s agenda. 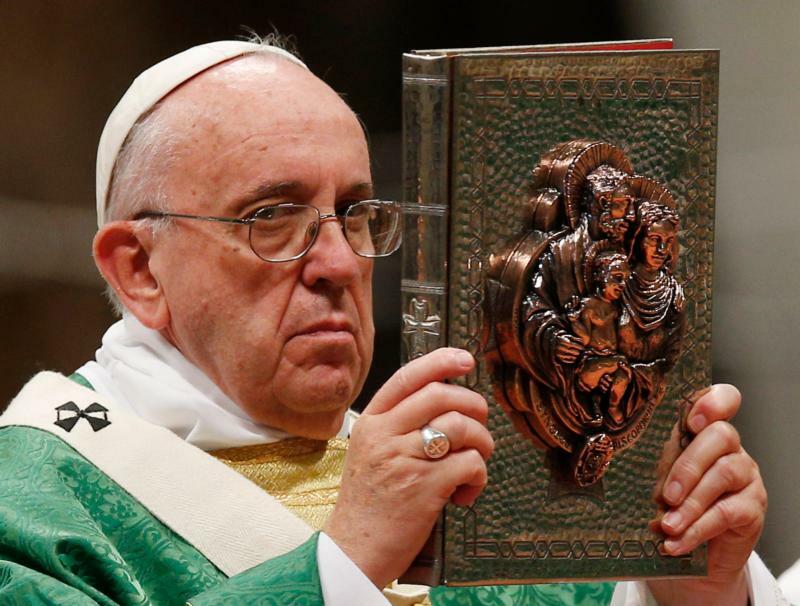 The Genesis story, the pope said in his homily, makes clear that the “drama of solitude” experienced by too many people — the elderly, the abandoned, widows and widowers, migrants, the persecuted — is not part of God’s plan. Pope Francis, synod members and tens of thousands of people had gathered in St. Peter’s Square Oct. 3 for a nighttime prayer vigil for the synod. Before the pope spoke, Italian families and an engaged couple shared their stories of finding love, overcoming obstacles and experiencing reconciliation and healing. The formal prayer began with an invocation of the Holy Spirit on the pope and synod members. The pope prayed that the synod would “acknowledge, esteem and proclaim all that is beautiful, good and holy” about family life.